Oscar, Grammy, & Tony winner Alan Menken and Grammy winner & Tony nominee Glenn Slater team up for their fourth Broadway musical, the new adaptation of A Bronx Tale. Together the guys have created a score that any B'way or 1960s music fan will embrace and adore. 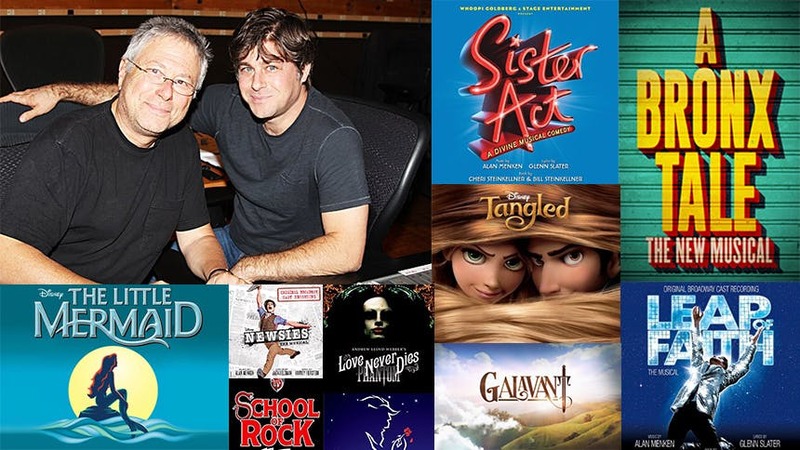 In honor of the new musical, this Friday playlist is a hit parade of music and lyrics written by Alan Menken and Glenn Slater (separately and together). Check out the new Menken/Slater score in A Bronx Tale at the Longacre Theatre beginning November 3.